Diamond Details: 14 Round brilliant cut white diamonds of G color, VS2 clarity, with excellent cut and brilliance. 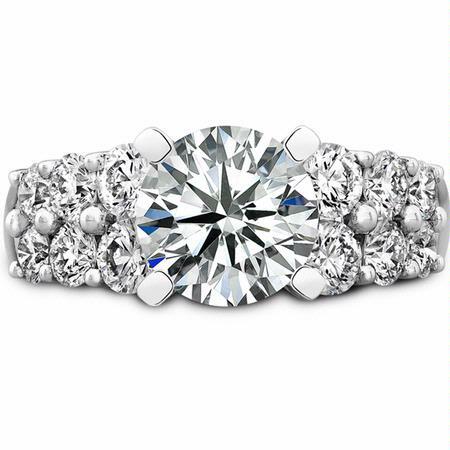 This Natalie K 18k white gold engagement ring setting, contains 14 round brilliant cut white diamonds, of G color, VS2 clarity, excellent cut and brilliance. 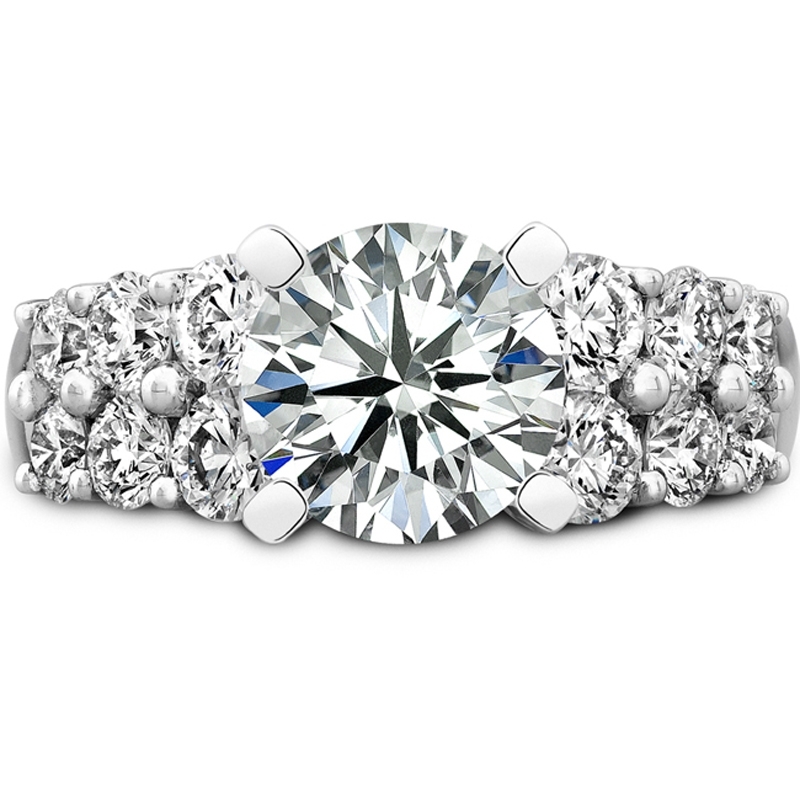 Accommodates 2.00 carat round cut stone. 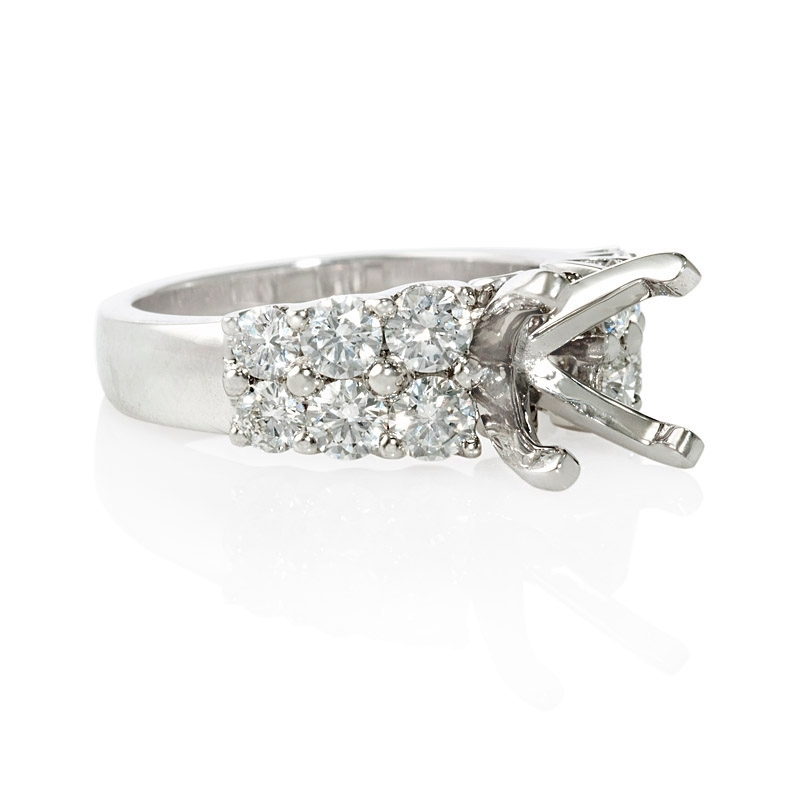 Natalie K rings can be ordered in any finger size. 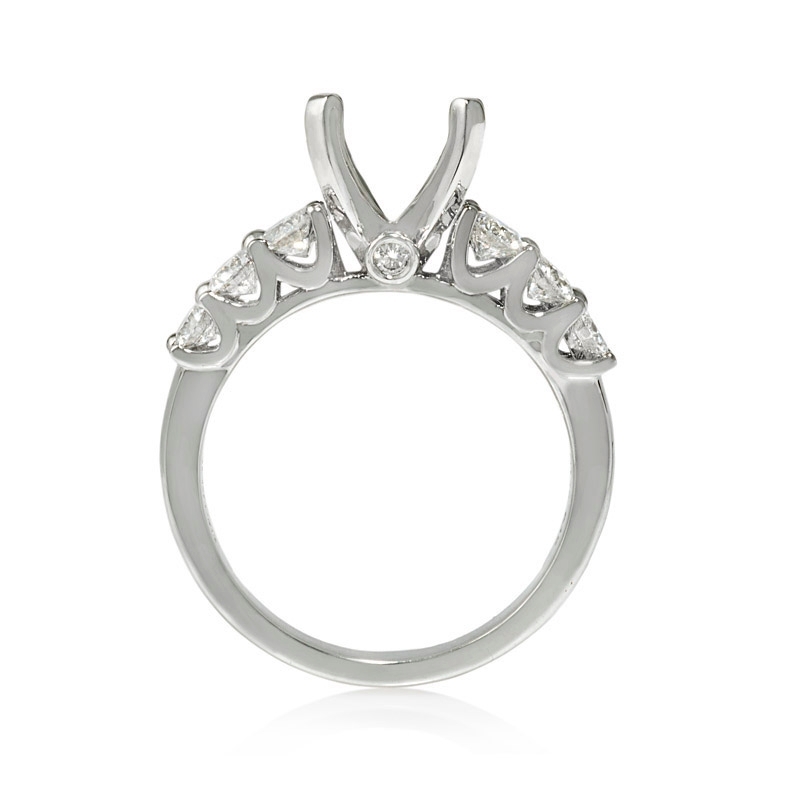 There is a 10% surcharge for ring sizes 8 and over. Please allow 4-6 weeks for delivery. View our inventory of G.I.A. and E.G.L. 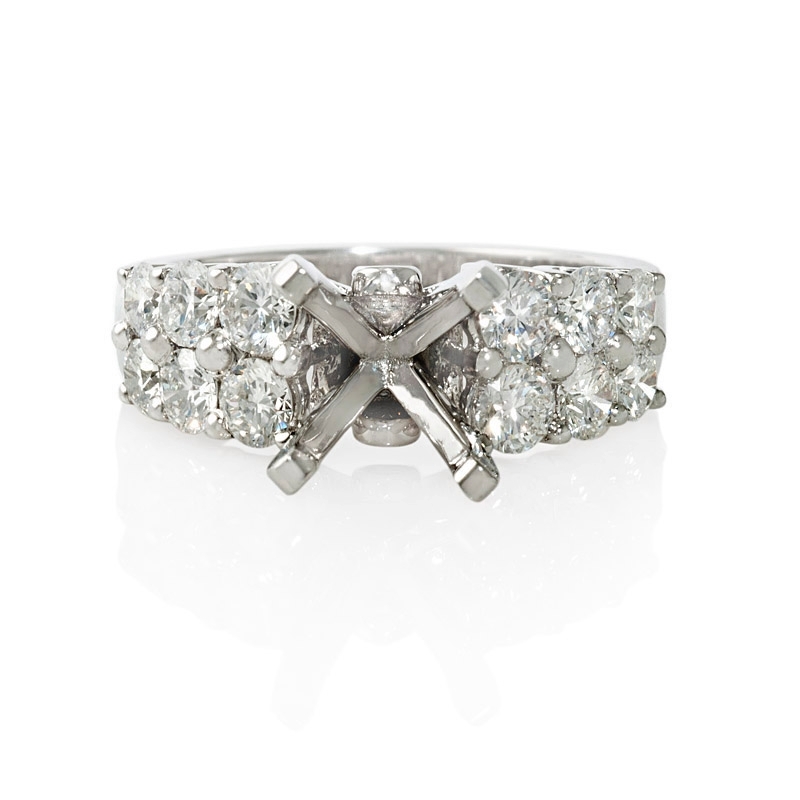 loose certified diamonds.